An impending El Niño weather pattern could negatively impact Georgia farmers’ abilities to harvest their peanut and cotton crops, according to University of Georgia climatologist Pam Knox. “I think that, for the next three weeks or so, after the current wet spell, it’s going to be pretty dry, as we usually see in October. But once the El Niño pattern kicks in, it could get pretty wet quickly, which is going to be a problem if farmers don’t get the crops out in a timely way,” Knox said. El Niño refers to unusually warm weather in the eastern Pacific Ocean, off the coasts of Peru and Ecuador, she said. When warm water exists there, the circulation in the atmosphere changes. The southeastern part of the United States gets caught under a subtropical jet stream, which pushes all of the storms and rain through the region. “Once that pattern sets in, we can expect to see a lot of storms come through this winter. It should be wetter than usual, and it’s probably going to be cooler than usual, just because I think it’s going to be real cloudy from all the storms,” Knox said. With a drastic increase in acreage this year, peanut farmers could feel the most impact from El Niño. Approximately 770,000 acres were planted in Georgia, according to UGA Cooperative Extension peanut agronomist Scott Monfort. An estimated 25 percent was planted after the third week of May, which puts harvest time in mid- to late October. If rain starts and continues, combined with limited sunshine, growers could have trouble getting their crops out of the field. “We’re concerned as usual when it comes to weather, period. If we start getting rain, especially the first part of October, it can set up and cause some problems,” Monfort said. 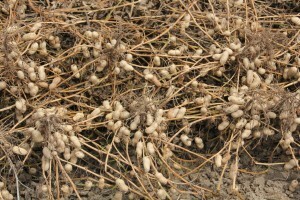 Twenty-five percent of Georgia’s peanut crop amounts to more than 192,000 acres, a significant amount of potentially impacted production in south Georgia. “If the rain sets in and it’s rainy for a couple of weeks, cloudy and we don’t see any sun, then that’s really going to do some damage to the crop, in the ground and out,” Monfort said. Peanut growers already faced some challenges this growing season. With temperatures in the low 80s and limited sunshine this week, peanuts are maturing considerably slower than usual. 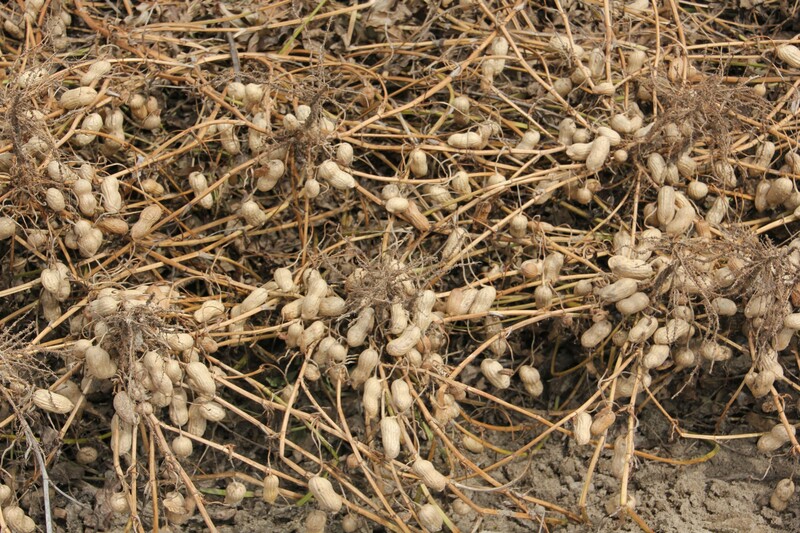 Further, white mold disease has been a problem and could continue if peanuts are left in the field, dug up and, in the rain, unable to be harvested. The more it rains, the more disease pressure peanuts will encounter. Though peanut growers are encouraged to be diligent and to get their crops out in a timely fashion, they could encounter delays at local buying points. Because Georgia’s peanut acreage increased by almost 30 percent this year, that amounts to a an extra 200,000 acres that need to be harvested, which could create a logjam at area buying points. UGA Extension cotton agronomist Jared Whitaker said Georgia’s cotton crop will also be impacted by the cloudy, rainy days ahead. “Boll opening and leaf drop function better in times of plentiful sunshine. With the cloudy days we’ve had and cloudy days we may have, defoliation and boll opening could slow down, and ultimately delay, harvest,” Whitaker said. A delay in defoliation results in delays in harvest, and delays in harvest can significantly impact yield and fiber quality, Whitaker said. Cotton quality is at its highest when the boll first opens. This would hurt cotton farmers’ profits as cotton commodity prices this season make it “extremely important to maximize yields to remain profitable,” he said.